Trying to conceive isn’t always as easy as one might think. In fact, for many, it can be a long and challenging process. To help, we’ve put together a list of helpful resources to help you on your journey to starting a family. What to Expect: Consulting a fertility specialist for the first time can be like sailing into uncharted waters. To help curb the anxiety you’re undoubtedly feeling, check out this information on what to expect at your first visit and the financing options that may be available to you. Educational Seminars: Want to learn more, but not ready to schedule an appointment? Register to attend one of our free educational seminars. We’ll cover information about the various pathways to parenthood including the latest advances in In Vitro Fertilization (IVF). Contact our office for more information about upcoming seminars. Counseling Services: Treating the mind can be just as important as treating the body during the fertility process. Few situations are as emotionally challenging as trying to conceive, and patients often experience varying levels of stress, anxiety and shame during this time in their lives. Our goal is to provide a comprehensive approach to care, and for this reason, we have partnered with Three Birds Counseling. For more information or to schedule a free 10-minute consultation, visit threebirdscounseling.com or call (336) 430-6694. Virtual Support Group: It can be helpful to share your experiences with others are on the same journey to starting a family or have already been through the process, even for the simple fact to know that you are not alone. You can join our Moms and Supporters Facebook group and sign up for our e-newsletter for the latest news and updates. Peer-Led Support Groups: The National Infertility Association has a great resource on their website resolve.org for finding a local support group in your area. These peer-led support groups are a great way to connect in person with others who are facing similar challenges. They also have a ton of educational information on their website as well as a dedicated HelpLine you can call to connect with someone who has been there and can help you navigate the resources available to you. Therapeutic Treatment: A positive mind has been proven to enhance the chance for success and will improve your overall attitude as you navigate the challenges associated with trying to conceive. We have a preferred list of professionals that offer services to assist patients undergoing fertility treatment. Yoga: Based in Winston-Salem, Ginny Genung offers unique yoga programs designed specifically for women undergoing fertility treatment as well as those who are recovering after childbirth. For more information on the services she offers, you can call her to schedule an appointment at 336-414-0702 or email her here. Massage Therapy: Massage therapy can provide relaxation and relief for patient stress during fertility treatment. Hand and Stone Massage and Facial Spa has convenient locations in each of the cities where Carolinas Fertility Institute serves patients. They are open seven days a week, offer extended hours and walk-ins are welcome. To schedule an appointment, call (886) 889-7866 or visit handandstone.com. Acupuncture: The beauty of Chinese Medicine is that it treats the person, not the disease or condition. Whether you are just beginning to think about starting a family or have already begun assisted reproductive technologies, acupuncture may be able to strengthen your reproductive health and manage the emotional stress of trying to conceive. Stillpoint Acupuncture offers CFI patients a free 20-30 minute phone consultation to learn whether you may benefit from this therapeutic treatment method. To schedule, call (336) 510-2029. Additional resources: Other therapeutic activities that can be beneficial while you undergo fertility treatment include walking or hiking, meditation and journaling. For recommendations on our favorite trails and books to explore these techniques, click here. Most importantly, the care team at Carolinas Fertility Institute is here to support you throughout every stage of your fertility care. 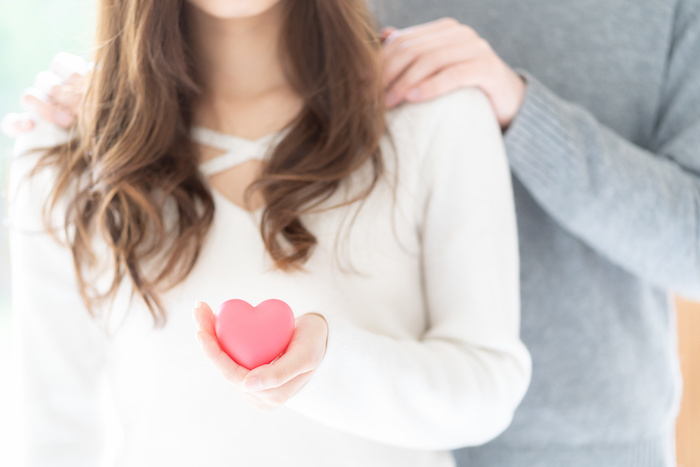 Through personalized care and attention, our goal at CFI is to help make your fertility journey as stress-free as possible. For questions or more information about support resources, call our office or submit your question online.